Big day coming up on October 1! 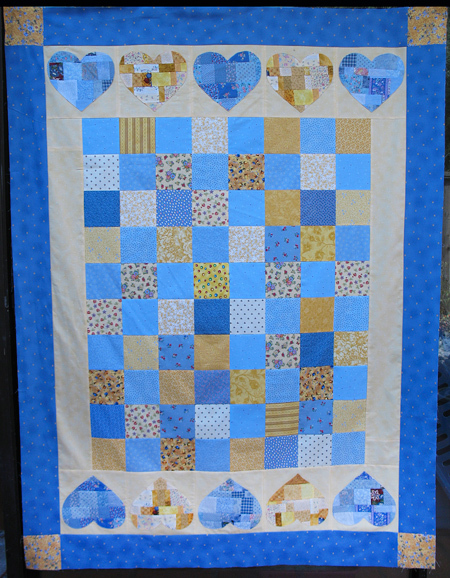 There’s going to be a great big blog event called the Fall into Fall Quilt Bloggers Giveaway and I’m participating as a sponsor. Tune in on October 1 to see what I’m giving away. I’ll also provide a link to the Fall into Fall Giveaway Central so you can see all the participating blogs and visit them too! There are tons of bloggers and businesses signed up already so there’ll be a boatload of chances to win things. If you write a blog and you’d like to participate, visit organizer Debi to get all the details. Thank you so much to everyone who left warm wonderful words about my new book. I’m kinda sorta thrilled about it and can’t wait to show it off. Now, on to our monthly feature! 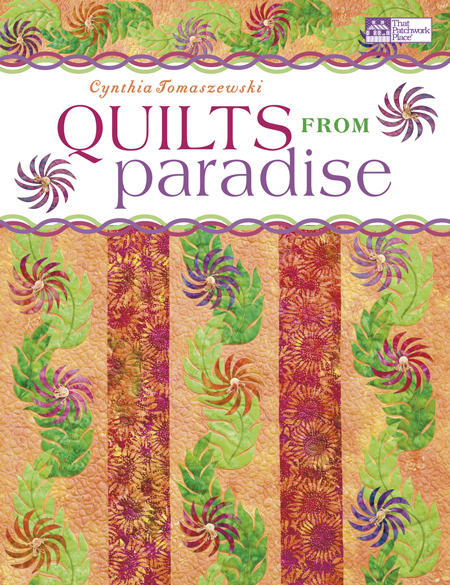 In her new book, Cynthia Tomaszewski’s message is that paradise is not a place, or a destination, but really the journey. 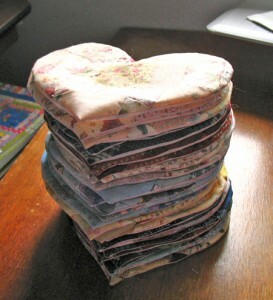 Little pieces of paradise are right there in our daily lives (if we have the wisdom to recognize them), and quilts made from these spaces in our heads are quilts from paradise. The designs in this book will lead you to Cynthia’s personal idea of paradise… the magical spirit of a tropical isle. 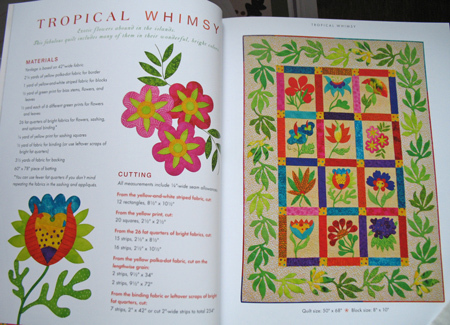 Filled with hot tropical colors, this book takes you step-by-step through 12 different quilt projects. Names like Falling Water, Natural Beauties, Tequila Sunrise, and Tropical Whimsy will give you an idea. There’s also a cute Island Tote and a darling rounded purse called Romancing the Bag. 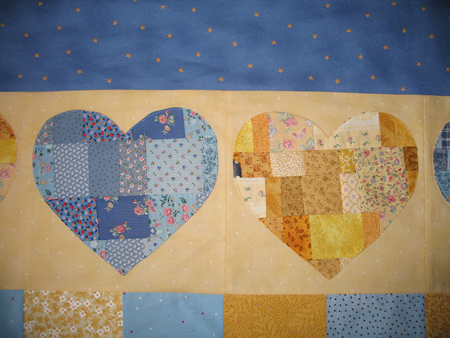 All the appliqué templates are given full-size, and besides placement guides and detailed instructions for each project, Cynthia includes quiltmaking basics and an introduction to appliqué. Here she covers fusible appliqué with hand embroidery stitches for finishing the edges, freezer-paper appliqué with the freezer paper on the back or on the front, needle-turn appliqué, bias stems and vines, and embellishments. I’ve always found it so fascinating that Cynthia lives in Abu Dhabi. The bio in the back of the book says that she and her husband plan to relocate one day to some land they have in Fiji. Until then, these colorful tropical quilts will remind her (and us) of island paradise. 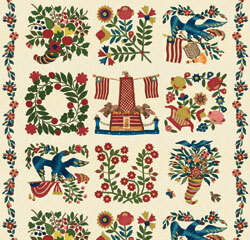 I have a copy of Quilts From Paradise to give away to a lucky reader of the blog, courtesy of That Patchwork Place. If you’d like to leave your hometown behind for awhile and immerse yourself in tropical quiltmaking, leave a comment by 7:00 p.m. California time on Tuesday, September 7, 2010. U.S. and Canada only due to the cost of shipping.